The anniversary of someone’s passing is a hard time for all who knew them. Sometimes the pain of loss fades and an anniversary can bring it all back very quickly. Others like to use an anniversary to remember the passing of someone, perhaps visiting their grave and laying flowers. Often it is supportive to send a card on the anniversary of someone’s death to let them know you are also thinking of them. 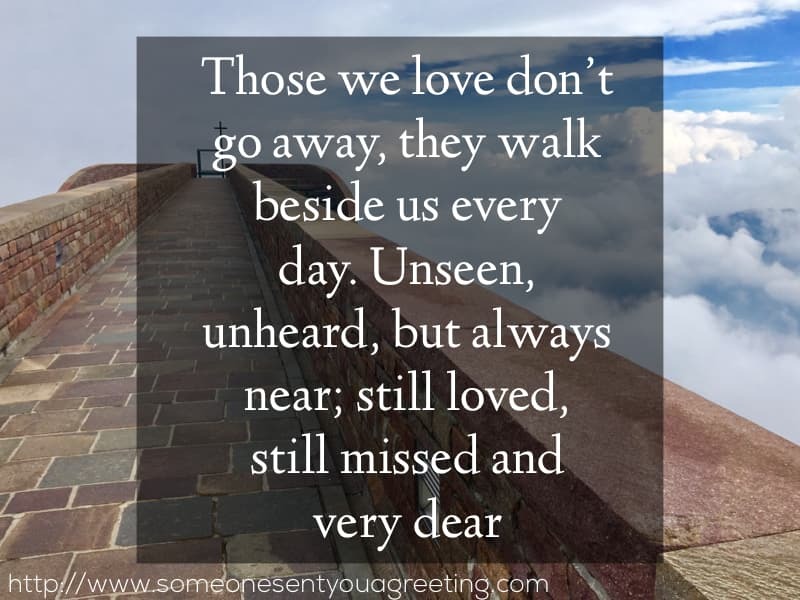 If you are struggling with what to say in a card for the anniversary of someone’s death, or you want to write a message and celebrate the passing of someone special from your own life, use the quotes and messages below. 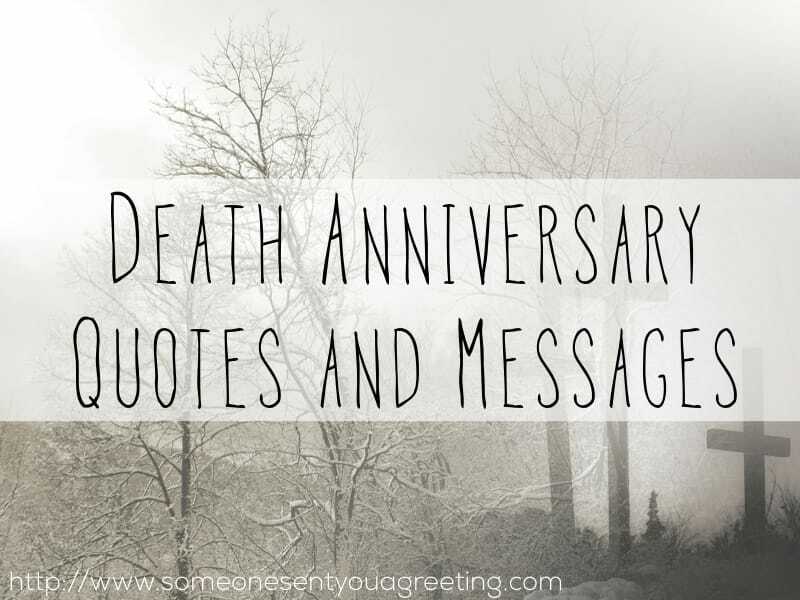 These quotes are both an insightful and touching take on death and its impact on people. They can be used in an anniversary card for someone’s passing or on social media like Facebook to let someone know you are thinking of them on what will be a tough day. An anniversary of a passing is tough at any time but the first year anniversary is one of the toughest. The pain is still raw and the memories at their most vivid. If you are wishing someone well on the anniversary of a death or remembering one of your own these quotes are a good way to try and make sense of it all. It’s already been a year and I still can’t believe you’re gone. These messages are written to let someone know you are thinking of them on the anniversary of the death of a loved one. Grief is the last act of love we can give to those we loved. Where there is deep grief, there was great love. Sadly missed along life’s way, quietly remembered every day. No longer in our life to share, but in our hearts, you’re always there. If you’ve lost a Dad then these messages are perfect for remembering his life age how important he was to you and everyone he knew. Like the loss of a father the loss of a mother is a profound and deeply painful time. Use these messages to remember your mom or comfort others remembering theirs. The loss of a good friend can be just as devastating as a family member. If you’ve lost a close friend or know someone who’s anniversary it is these messages can provide support.